November 2, 2016 October 31, 2016 Amanda B.
I made some brand new centers for Halloween this year. I know I’m late posting this so I am going to offer it as a freebie…. For now! If you wait until next Halloween to download it, it will be too late and it will only be for sale in my Teachers pay Teachers store! So get it now (unless you want to pay for it later). 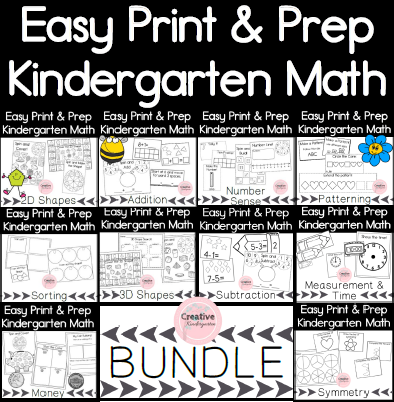 Included in this pack are 5 great activities. You have it all- math, literacy and art! So easy to do- all you have to do is print them out and you’re ready to go! So what’s in it? 1- A counting mat: There are numbers in the circle and students have to put that many spiders in the circle. We gave them plastic tweezers to work on their fine motor skill too. 2. Skeleton art activity: let the students create their own skeleton. They have to count the cotton swabs and write the number on the line. 4. Make a Halloween Pattern work mat: Give students different Halloween manipulatives to make patterns. 5. Halloween write-the-room: students have to find words that begin with all the letters to spell SPIDER. Previous postLeaf Inquiry Science Center- With a Freebie!